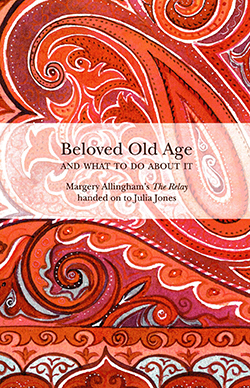 This book offers the perspectives of two people caring for older family members: novelist Margery Allingham in the 1950s and her biographer Julia Jones, whose mother is in her nineties and currently living in supported housing. The central theme is how an older person nearing the end of life ‘passes the baton’ to the next generation. It demonstrates that family carers can do this in a considered, informed and committed way that epitomises person-centred care. The book also highlights that good dementia care is possible and rewarding when accompanied by appropriate insight and understanding. The way the book alternates chapters written by Ms Allingham and Ms Jones is slightly confusing at first but the number of valuable insights it contains more than makes up for this. The book is relevant to those interested in the differences in the care context between the 1950s and the current day, for example the role of the NHS and supported living. This is an essential read for those yet to be convinced that getting to know a person with dementia is a prerequisite for providing high‑quality care, and that in most cases listening to family carers is the best way to do this.